The United States Ju-Jitsu ® National System with Rank Requirements of USJJF based on Traditional Japanese Ju-Jitsu. US JU-JITSU ® is a Comprehensive Taxonomy of Skills & Knowledge with Sixteen (16) Divisions of Training. 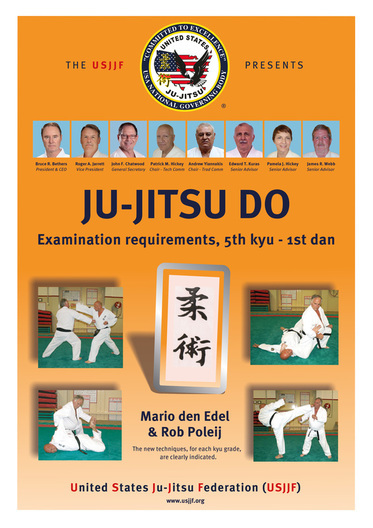 Below are the Technical Books & Posters available at USJJF's Store - ​Kiai Budo Shop..!! These Books & Posters of UNITED STATES JU-JITSU ® are Now Available.!! UNITED STATES JU-JITSU NE-WAZA KATA POSTER..!! UNITED STATES JU-JITSU EBO-NO-KATA POSTER..!! UNITED STATES JU-JITSU ® TECHNICAL POSTERS..! !